Description: Add the finishing touches to your vintage outfit with this wonderful brooch featuring an array of white / clear tone Aurora Borealis beads, packed onto a oval brooch. 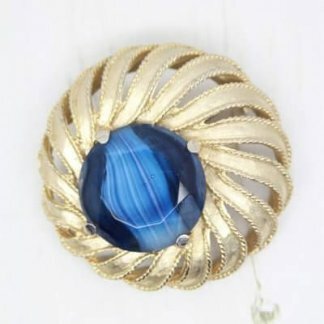 Featuring different shaped beads forming a unique pattern, the brooch is complete with a strong roll lock clasp to the back. 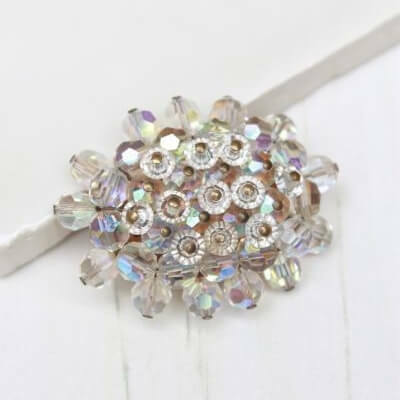 Measuring 4.5cm at widest point, in good condition with lovely quality beads that reflect strong colours. 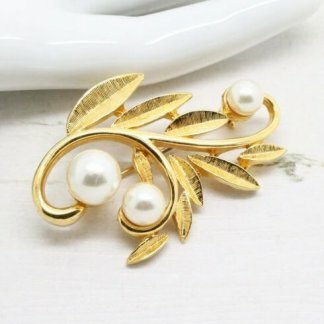 The gold plated back of the brooch shows very slight marks but nothing to spoil the appeal or wearability of the brooch. 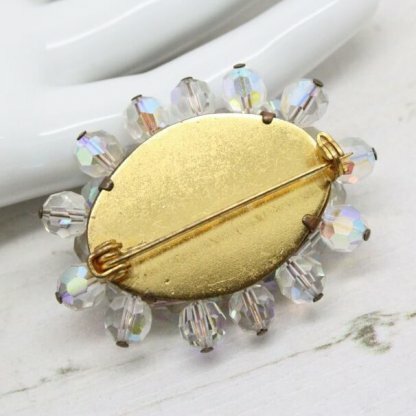 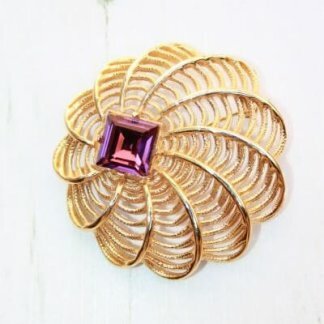 Wear a rainbow of light on the lapel of your jacket with this beaded genuine vintage brooch.